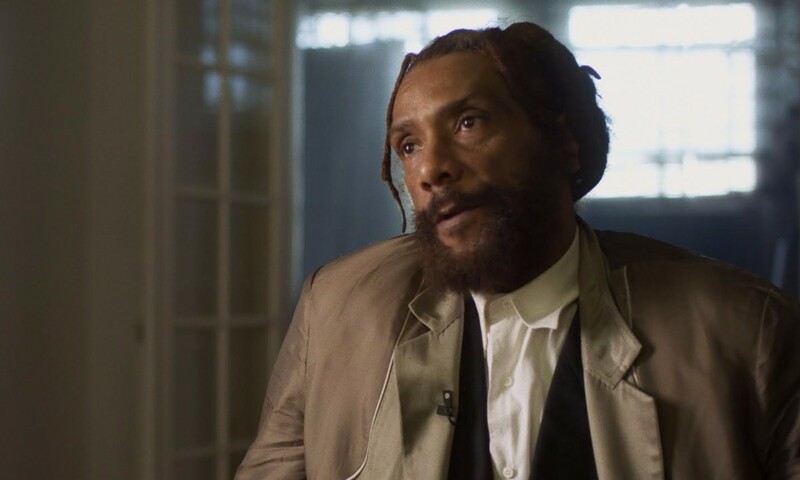 Paul Hudson, better known as HR, is the front man of the Bad Brains, an iconic ’80s band that melded Rasta with punk, reggae, dub, jazz-fusion, metal and funk. This Friday (November 3), HR’s life will hit DVD as the documentary Finding Joseph I: The HR from Bad Brains Documentary finally makes it to small screens. Directed by James Lathos and produced by Small Axe Films with executive producer Jay Mohr, the film traces HR’s life from boyhood, to punk stardom, through struggles with the titular character’s mental health. It also features interviews with HR, Earl Hudson (Bad Brains/brother), Ras Michael, Ian MacKaye (Minor Threat/Fugazi), members of Sublime, Deftones, Fishbone, Cro-Mags, the Wailers, Living Colour and more. Today, TIDAL has an exclusive clip from the doc ahead of its release, detailing a time when HR took a mic stand to a man in a crowd who was harassing a fellow concert-goer. “We were in Kansas, and I thought I saw a guy with a gun, so I naturally wanted to help out the young lady he was pointing it at, so I came down on his head with the microphone stand,” HR told us, although it’s still unclear as to whether the man in question was armed. Take a look at the clip below, as well as a brief Q&A with Lathos, who also co-penned a book about HR in tandem with the doc. What was it like working with HR on this film? Working with HR on this project has been an incredible experience. There have been some highs and lows, but looking back now we have some great memories. We spent time in Jamaica filming where we really got to connect. That was unforgettable. We also had the privilege of shooting HR performing with Deftones, Fishbone, P.O.D., Long Beach Dub All Stars, 311 and Bad Brains. He has always been very humble and open to talk on camera. Did you work on the film and the book at the same time? The book is a companion piece to the film. Howie Abrams of Lesser Gods reached out to me and was interested in writing and publishing HR’s story. We already had so many interviews and knew that everything wasn’t going to make it into the movie, so the book became the perfect place where we could get more into detail about HR’s life and not let all the great interview material end up on the cutting room floor. More positive things have happened in HR’s life since the book was released, so we will be adding another chapter and putting it out as a paperback sometime early 2018. Do you think it was hard for HR to see himself portrayed on film — or was he easy-going about it? There may be a few parts of the film that are difficult for him to watch, but I think he’s OK with it. Those parts are the truth about what was happening at the time with his mental health. He’s very courageous for asking for help. The important thing is that HR has been moving forward and improving his life and has truly weathered the storm. Every screening he’s attended the audience has given him a standing ovation. It’s been incredible to witness. What are you hoping viewers take away from the film? I hope viewers can be inspired by HR’s story and it can impact them the same way it has me. It’s still evolving. The fact that he’s recently reunited with his brothers in Bad Brains is incredible. He’s never given up after all he’s been through. He’s a real living legend and a once-in-a-lifetime artist like Basquiat, Van Gogh or Edgar Allan Poe. I just think he’s in that realm as far as the way he thinks, the way he operates and how his mind is designed as an artist. It’s a beautiful thing.